Somehow better than 50's last feeble attempt, however still very feeble. At some point 50 became the lames dude in the rap game and his lyrics couldn't be softer on beats that sound like they came from 2009. 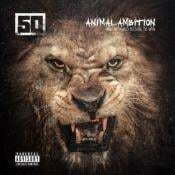 50 Does have some catchy compositions on this album, though not anywhere near good enough to have a big hit. There isn't any good thing here except the beats and the last track.